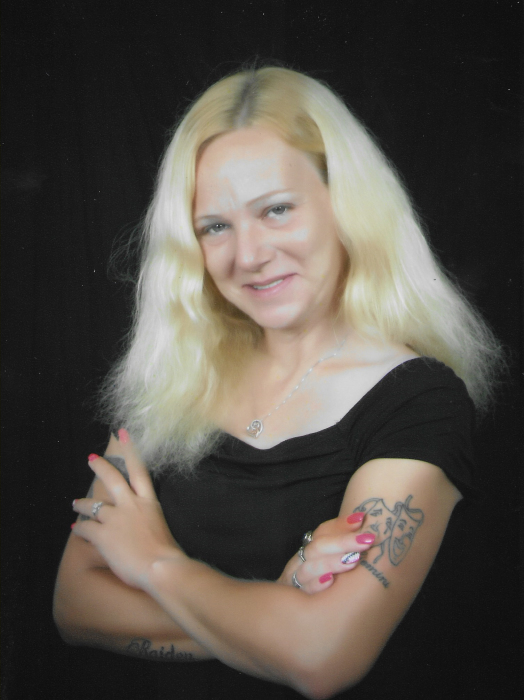 Melody Rose Jones West, 37, of Kinston passed away on Sunday, August 12, 2018. Melody is survived by her husband, Charles “Ricky” West of the home; mother, Mary “Kitten” Jones; father, Fleming “Cecil” Jones, Sr.; daughters, Summer Heath, Victoria Battle, Alana Mayo; sons, Jamie Heath, Ina Battle; grandchild, Raiden McCall; brother, Fleming “Cecil” Jones Jr.; sisters, Sabrina Matthews and Melissa “Missy” Lewis. Visitation will be held from 6:00 p.m. to 8:00 p.m. Wednesday, August 15, 2018 at Garner Funeral Home. Funeral service will be held 11:00 a.m. Thursday, August 16, 2018 at Garner Funeral Home with Pastor Jimmy Horn and Pastor James West officiating. Burial will be held at Trenton Cemetery following the funeral service.